1. What is a chapter 7 bankruptcy case and how does it work? A chapter 7 bankruptcy case is a proceeding under federal law in which the debtor seeks relief under chapter 7 of the Bankruptcy Code. Chapter 7 is that part (or chapter) of the Bankruptcy Code that deals with liquidation. The Bankruptcy Code is a federal law that deals with bankruptcy. A person who files a chapter 7 case is called a debtor. In return, the debtor receives a chapter 7 discharge, if he or she pays the filing fee, is eligible for the discharge, and obeys the orders and rules of the bankruptcy court. 2. What is a chapter 7 discharge? 3. How does a person obtain a chapter 7 discharge? A chapter 7 discharge is obtained by filing a chapter 7 bankruptcy case and being eligible for a chapter 7 discharge. However, not all debts are discharged by a chapter 7 discharge. Certain types of debts are by law not dischargeable under chapter 7 and debts of this type will not be discharged even if the debtor receives a chapter 7 discharge. 4. Who is permitted to file and maintain a chapter 7 case? 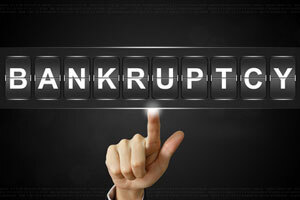 Any person who resides in, does business in, or has property in the United States is permitted to file a chapter 7 bankruptcy case except a person who has intentionally dismissed a prior bankruptcy case within the last 180 days. However, where you live in Georgia determines where your case has to be filed. In addition, to be permitted to maintain a chapter 7 bankruptcy case a person must qualify for chapter 7 relief under a process called means testing. I will assist you with all aspects of preparing, filing, and representing you in Federal Bankruptcy court to protect your assets to the maximum allowed amount available under the law. “We are a debt relief agency. We help people file for bankruptcy relief under the Bankruptcy Code.” See 11 U.S.C. 528(b)(2). My thanks to Argyle Publishing.